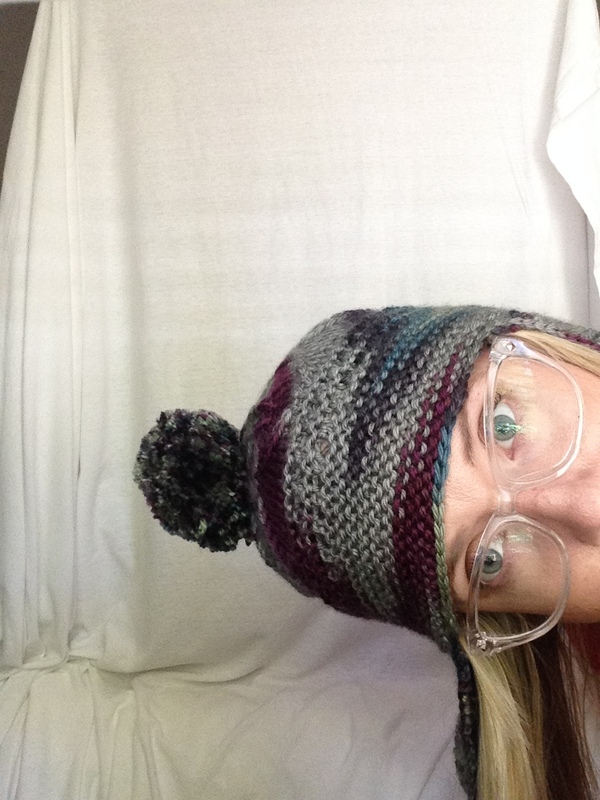 katecanknit | Just A Girl, Making Things, With Sticks & String. First things first, I started my first attempt at socks. So far so good, but I think I am going to run out of yarn. 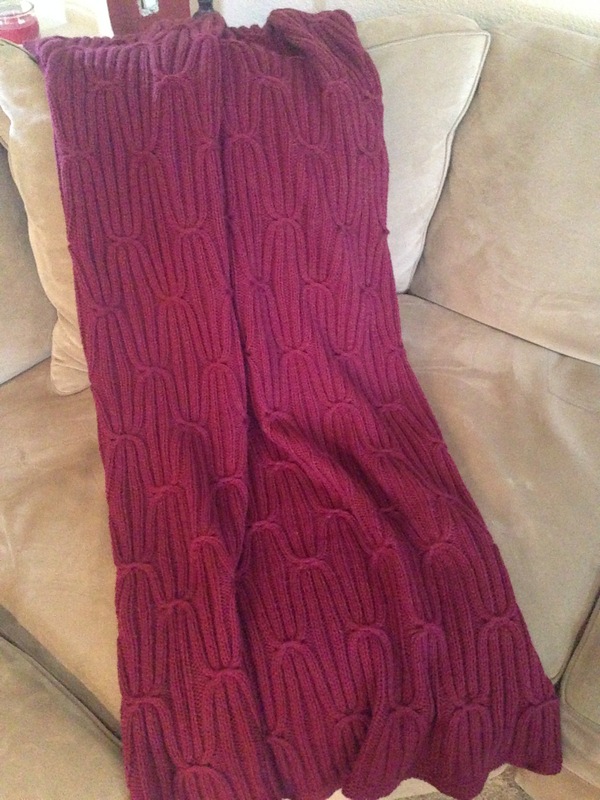 I’ve decided I’m okay with it, since these were really just something I wanted to try to knit, and not necessarily wear. I’m still waiting on an order of some handmade wooden buttons to sew onto the hat, so it’s not quite done yet, but I’m counting it as finished. I think the knitting group has really helped me focus (obsess?) on my knitting, so I’m more motivated than usual to get things done. In other news, I’m starting to plan a trip to London in August, if anyone has been or is from around there, any tips or suggestions of where to go would be much appreciated! Especially yarn shops, and maybe also where to eat. Those are my priorities. 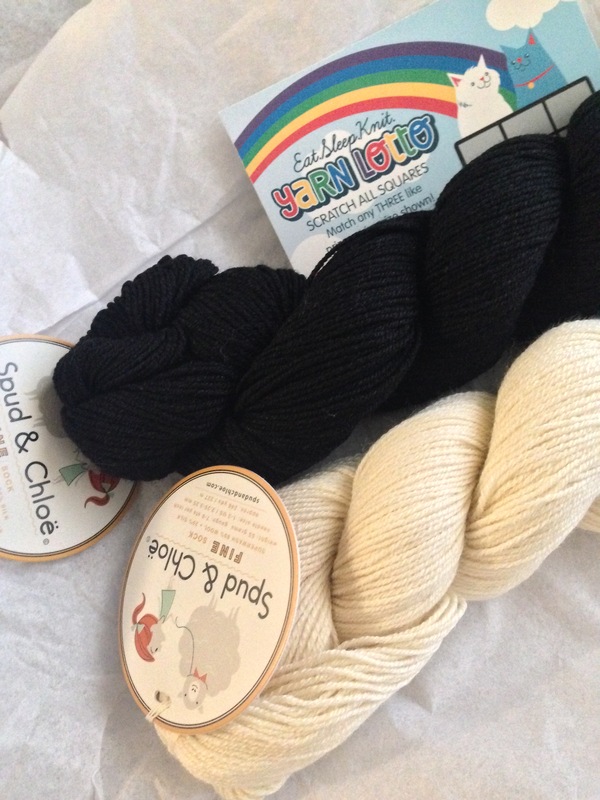 I’ve been very good about not buying any new yarn until I work my way through my stash, with the intention that I may bring home a whole suitcase full from the trip. If the mood should strike me. I didn’t quite get the pleats right, but I think it turned out super cute. What do you think? Want to knit your own? 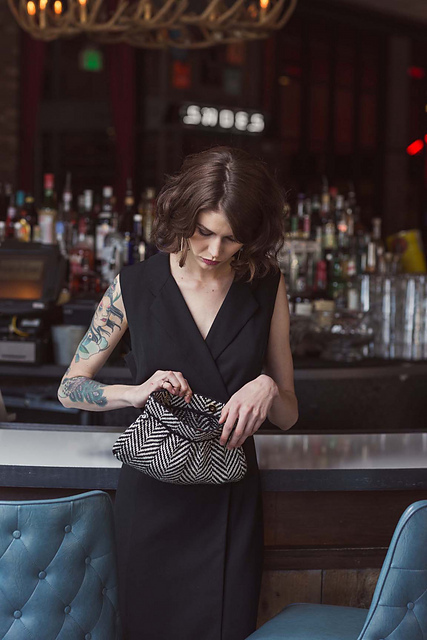 It’s the Grace Clutch found here. I also joined a knitting group that gets together once a week, and that’s been really motivating to jump back in. More lace knitting! Hooray! 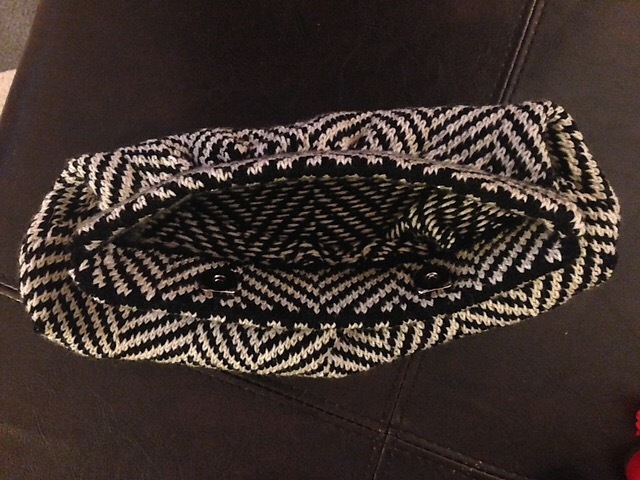 I was going to start on my sister’s Christmas present, which is the Grace Clutch from Knitscene Accessories 2015, mentioned in an earlier post, but then realized I did not have the right size needles. (Why does it seem like I have to buy a new set for every project I start?) And felt the need to get some new addi’s, because after using those on the Afghan I made for Mum, I don’t want to go back to my collection of cheap bamboo needles. So, basically, I started this because my finger’s were itching to knit, and I couldn’t wait the two days for the needles to be delivered. 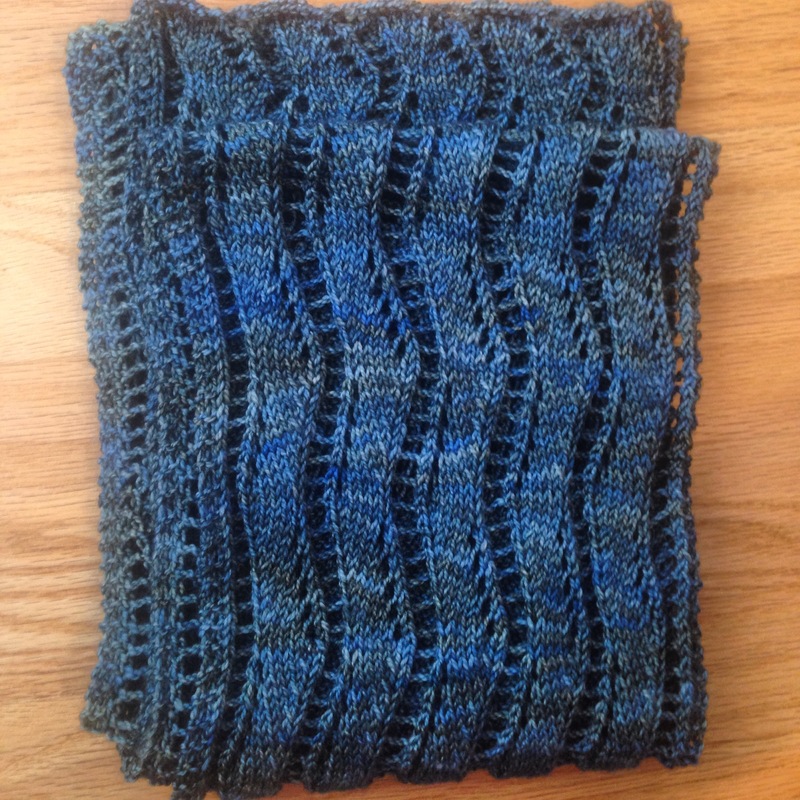 I have every intention of putting it down to start work on the Clutch as soon as I get the needles, but…I might have to put that off for a bit, while I’m still exciting about this pattern, which is the ever popular Lace Ribbon Scarf by Veronik Avery. I’ve already messed up on a section, but I think it is not so noticeable that I have to start over. Or at least I hope it’s only noticeable to me. You guys tell me. 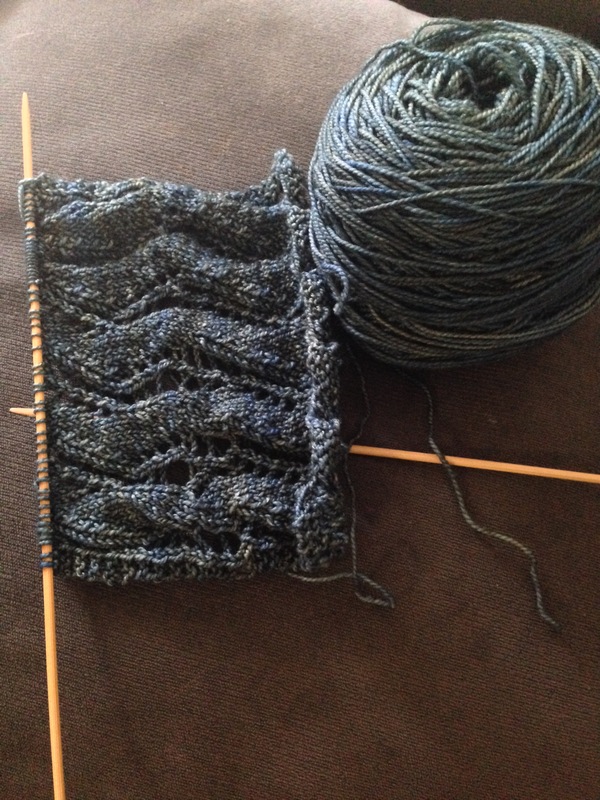 I love this color of yarn, which is Madeline Tosh Tosh Sock in Worn Denim. I think it works really well with the pattern, and almost looks like flowing water. 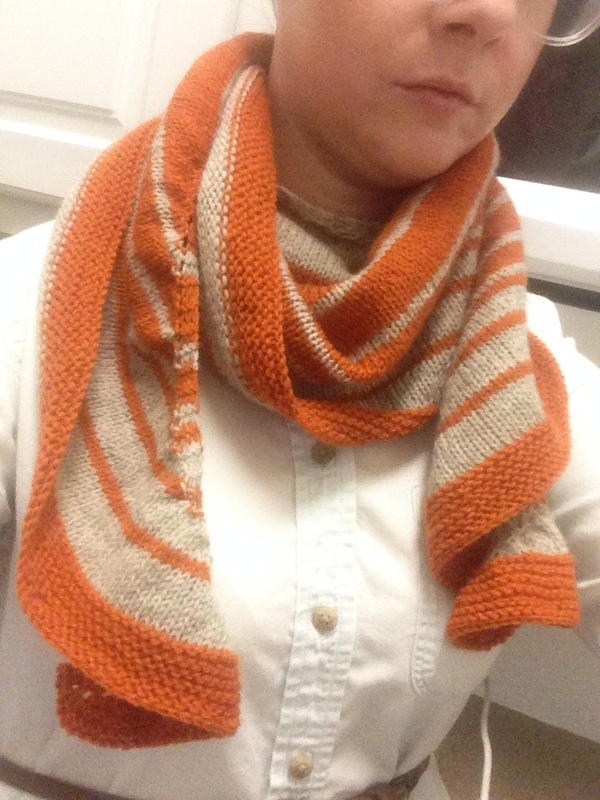 Here’s the finished Lunaris Shawl. I think I will be wearing it like this, for the most part. Shawls aren’t really my thing, but there are so many beautiful patterns for them, it might have to become my thing. 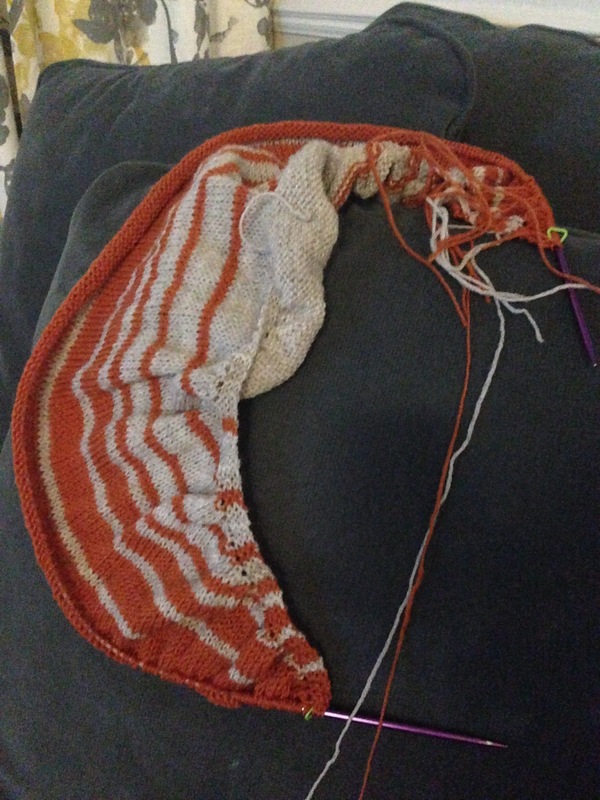 I’m making pretty good progress on this shawl. I think I’m just so excited to be working on something smaller than an afghan that I don’t want to put it own until it’s done and then move on to something else. 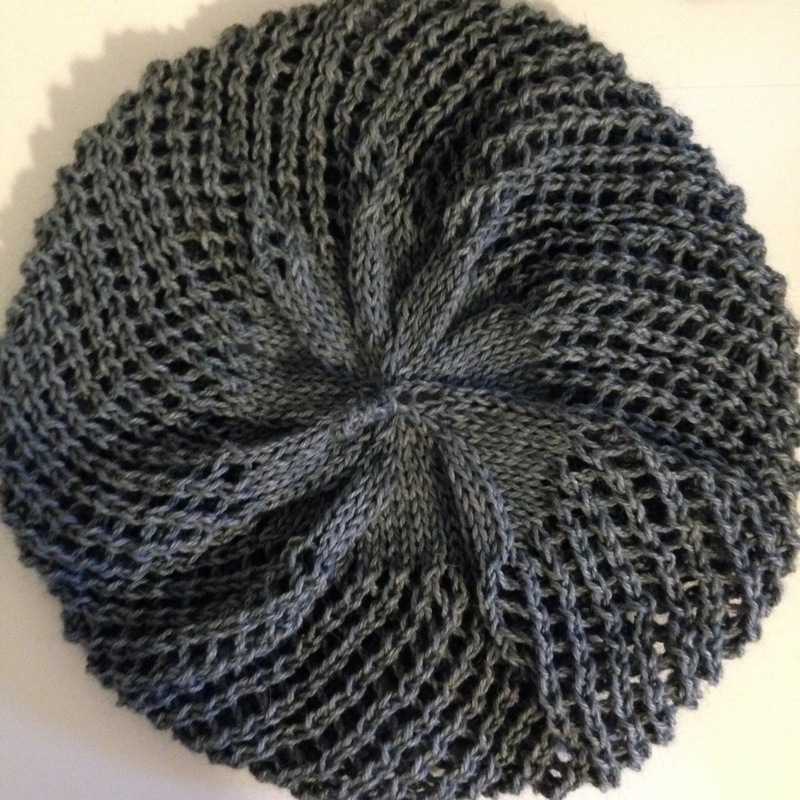 Also, this pattern is pretty simple, the only thing I’m not particularly excited about is weaving in all those ends. I feel about that about the same as I feel about seams. It’s a chore, but I guess there’s not avoiding it, if I want to actually finish it. But I promise it’s for a good reason!! 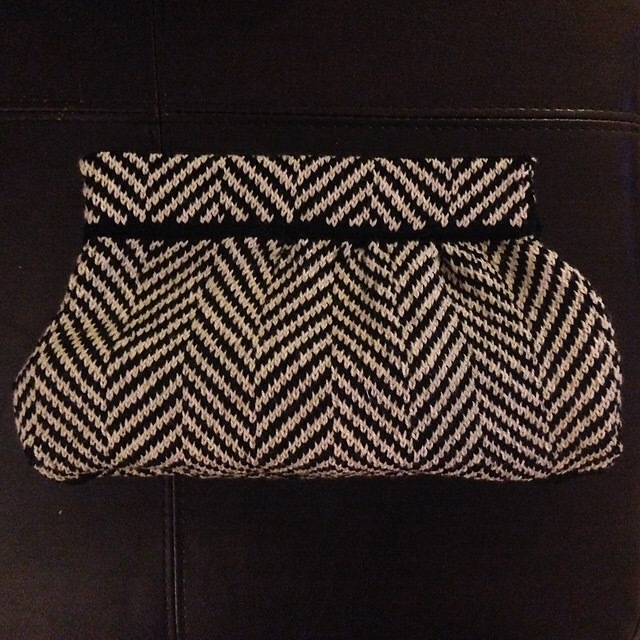 I went to the fabric store with my sister and was flipping through Knitscene’s Accessories 2015, while she flipped through pattern books and stumbled across the Grace Clutch, and we both thought it was adorable and so I asked her if that’s what she wants for Xmas, and she said yeah, so obviously I had to buy the yarn for it. See? It’s just too adorable to pass up. As for the other recent additions to my Ravelry queue, I’ve been suddenly swept by the mood to crochet. (Yes, I do sometimes crochet, although it’s been years, so I may have forgotten.) So I stumbled across these patterns…. I couldn’t really resist that tartan wrap, I am just obsessed with tartan. Maybe a little too much. Onwards and Upwards, Sort Of. 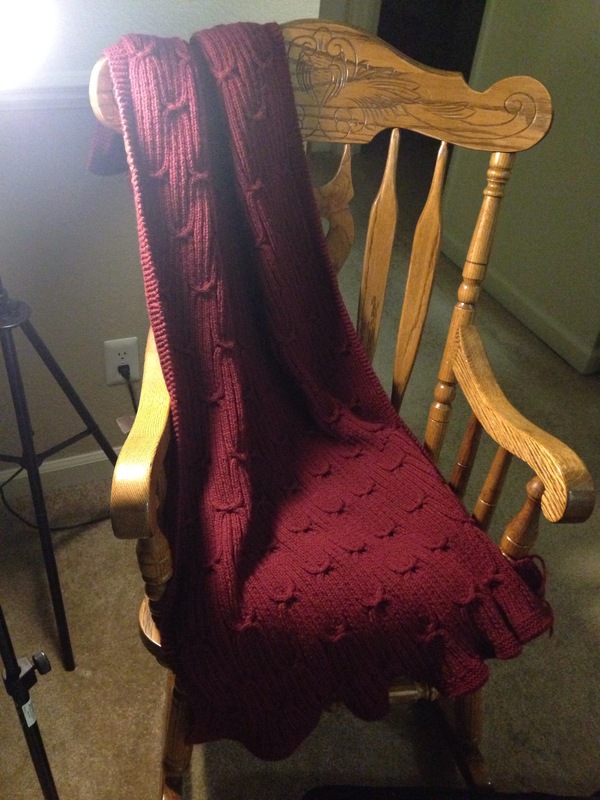 Here’s the finished blanket after blocking. It looks great on my Mum’s couch, and she said it was beautiful and worth the six month wait. So, yay for that. 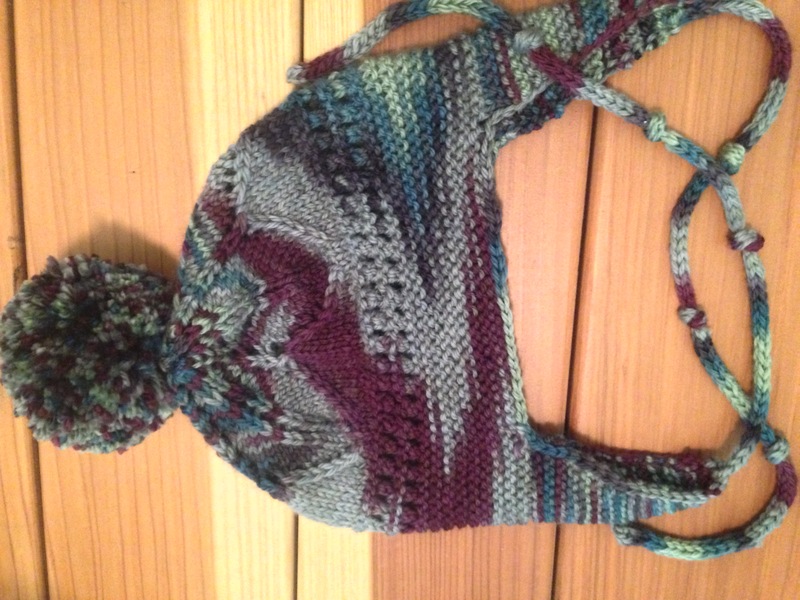 Now that this is done I’m feeling much more excited for knitting again, even if it is an hundred degrees outside. 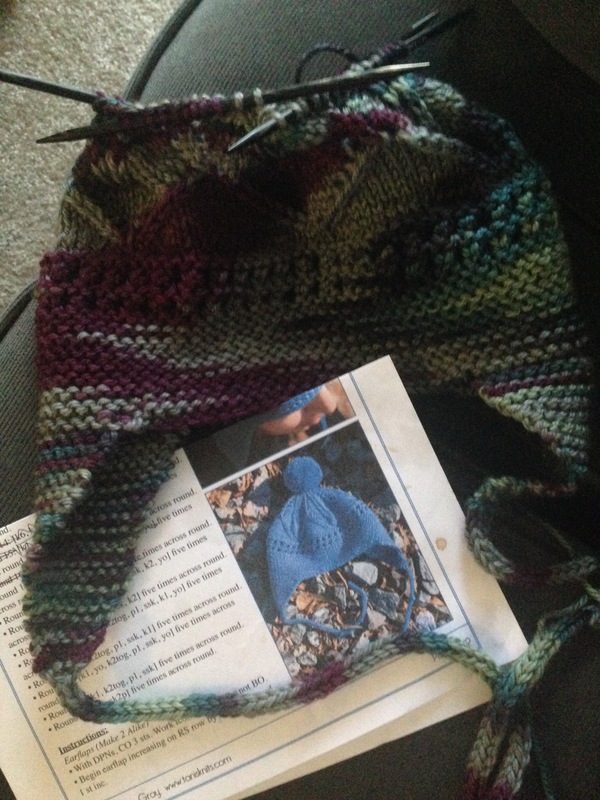 So, I’ve decided to pick up my UFO from before I started the blanket, the Tuva Hat pattern by Tanis Gray. I’ve always wanted a hat with earflaps and a pompom on top. I’ve never actually made any pom poms, but I got one of those doohickeys to make them and it seems pretty simple. Now after having frogged the hat three times already, I think I will finally get it right, and should be done soon. Oh small projects, you are glorious! I’m using Lorna’s Laces Shepherd Worsted in the “Christmas at Downton” color. Admittedly, I bought it for the name, but I’m glad I did. I rarely use a multi-colored yarn, but I think it’s really adding to the quirkiness of the design, you know? The teal color in it is just gorgeous, I’m in love with it. I wonder if they make a color that’s just that one solid, because I would love a sweater in it. Next post will be devoted to some new adds to the queue now that I’m back to obsessing over knitting, my queue now holds 132 items. How much do you think one slow knitter can make in a lifetime? The blanket is finally finally done! That only took, what? Six months? Yeah, no time at all. I have to blame a) the fact that I’m a slow knitter and b) I have what I like to call seasonal knitting disorder, as in, it gets hot outside and suddenly I’d rather paint or something. I’m trying very desperately to break that habit. So, here’s hoping. The good news is, the blanket is done, all I need to do is go invest in some blacking wires, block it, then I can finally give it to Mum, now that it’s too hot to actually need. Brilliant! It’ll at least look lovely on her sofa. Next up, I’m going to finish the Tuva Hat I started before the blanket, and maybe attempt to learn Continental method, since everyone seems to swear by it being faster. Did any of you have a preferred method? I’ve always just used the English method, because that’s how my grandmother taught me, and I’m just used to it.